As a family caregiver, you know that one of your most important priorities in life is helping your aging parent manage their health concerns and complications. It is critical, however, that you do not just think about the concerns that they have currently, but also the ones that might develop throughout their later years. By being aware of the risks that your aging parent faces, you can help them to take the necessary steps to reduce these risks and manage their health in a way that can protect them and support a longer, healthier, and more fulfilling life. November is American Diabetes Month. This is the ideal opportunity for you to learn more about the risk factors for diabetes and what you can do to help your parent reduce their chances of developing the disease if they have these risk factors. Some of the risk factors for diabetes cannot be controlled. In this situation, it is important to be aware of them so that you can be better prepared in the event that your parent does develop the condition and can take other steps to improve their overall health and well-being. People who have a parent or a sibling who has diabetes are at an increased risk of developing the disease. The risk for developing diabetes increases with age, which means that your elderly adult has more of a chance of developing the disease with each passing year. Blacks, Asians, and Native Americans are more likely than whites to develop diabetes, though the cause for this is not completely clear. Also known as hypertension, high blood pressure increases the risk of developing diabetes and can make managing the condition more difficult if it does arise. One of the leading risk factors for the developing of diabetes is being overweight. Losing even a small percentage of body weight can drop your parent’s risk considerably. Linked with being overweight but also a risk factor of its own, inactivity can put your parent at risk of developing diabetes, make diabetes more difficult to manage, and also put them at risk of other health complications that are exacerbated by, and also exacerbate, diabetes, such as cardiovascular disease. 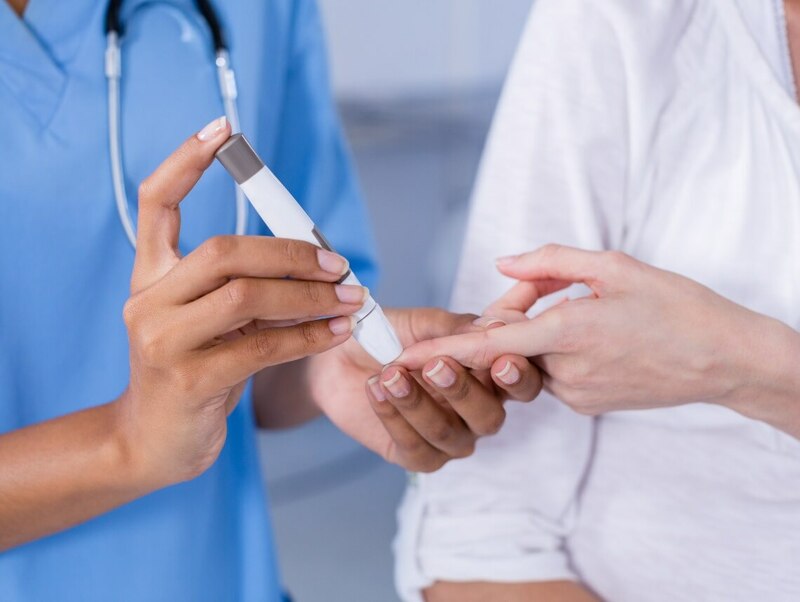 If your elderly loved one has recently been diagnosed with diabetes or you feel that they are not managing their condition as well as they could, now may be the ideal time for you to consider starting home health care for them. An in-home senior healthcare services provider can help your parent to better understand their condition and what they need to do to manage it, and then provide a personalized set of services that integrates those management techniques with care, support, assistance, and encouragement. Together this helps your parent to keep their diabetes in check while also maintaining as much independence, activity, and fulfillment as possible as they age in place. If your aging parent has risk factors for developing diabetes but has not yet been diagnosed, home health care may also be able to help them avoid this condition. By helping them to make better lifestyle choices and offering support and reminders for compliance with guidelines and instructions from their doctor, this care provider can help your parent live a healthier and more fulfilling lifestyle as they age in place.